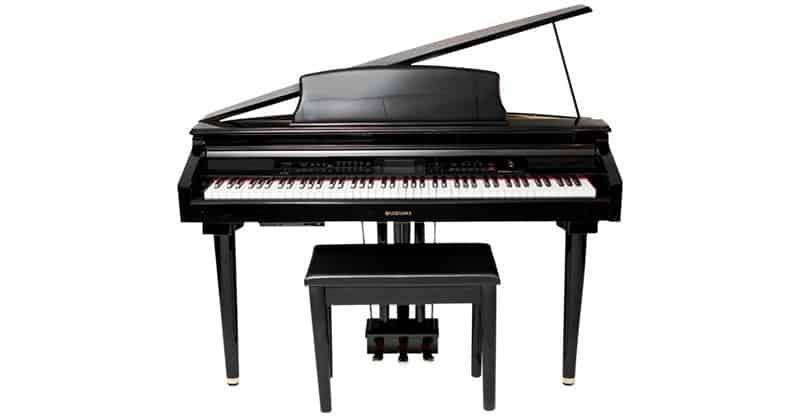 Most piano players – especially purists – prefer the sound and feel of a grand piano if not a concert grand piano. Of course, most of the time, such a piano is out of reach due to the exorbitant cost of ownership. For many students, teachers, and performers, the opportunity to play a grand piano may only come around at formal recitals, performances, and perhaps a visit to a wealthy friend’s home. Fortunately, there are some good alternatives within reach – such as digital pianos. No, they may not sound or feel exactly like a grand piano. But they are versatile instruments, great for practice, performance, and recording alike. They often come with a good selection of quality sounds and have built-in speaker systems. Any practicing pianist or studio engineer should have a quality digital piano on hand. Whether you’re a beginner or advanced player, there are some great options out there for you to consider. Here are several of the best digital pianos on the market. Do You Need Additional Tech? Is A Digital Piano As Good As A Real Piano? How Many Keys Do I Need? 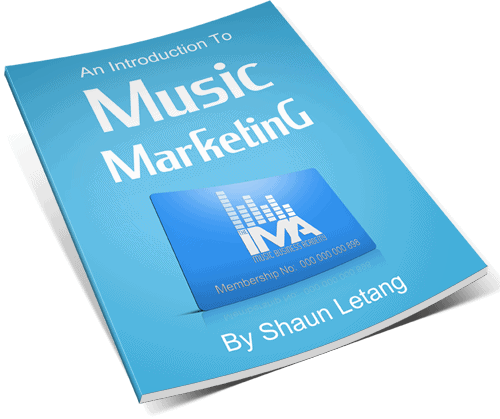 Can I Learn To Play Piano On A Digital Piano? Should I Practice On A Digital Piano Or Real Piano? 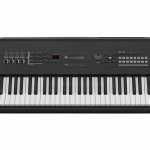 The Yamaha Arius YDP-181 features 88 Graded Hammer weighted action keys, a dynamic stereo sampling AWM piano with up to 128-note polyphony, a two-track three-song recorder, USB to device port, and LED display. It also comes with the bench and stand. 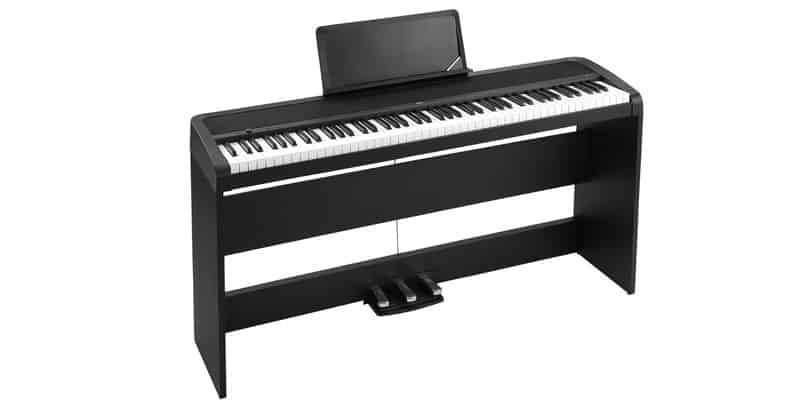 At $1,699, the piano is highly rated by reviewers, is spatially efficient, and has a nice sound. For the average home, it’s probably more than enough piano – especially for general practicing purposes. Now, if you’re expecting it to sound like a grand piano in a concert hall, your expectations are probably a little skewed. But it’s also important to note the price difference between a grand and a digital piano: You’re not going to spend 10 to $50,000 on the Yamaha. 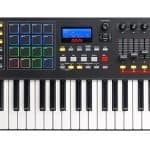 The Korg B1SP has 88 natural weighted hammer action keys, eight digitally sampled sounds with 120-voice polyphony, a built-in sound system, stand, bench, and three pedal board. 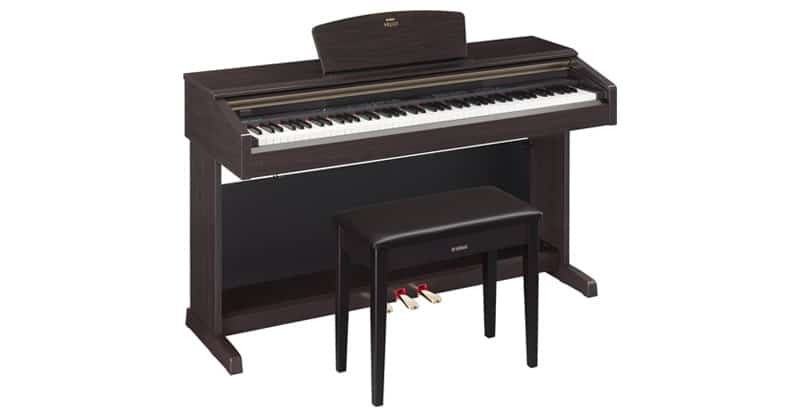 At $599.99, the piano is great value and is perfect for practicing at home. Its sound will not even compare to an upright piano, but it still has a nice tone to it. If you’re looking for the complete package at a reasonable price, you’ll love the Korg. 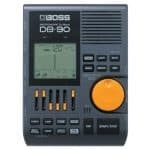 The Casio PX160BK is essentially a direct competitor to the Korg B1SP. It is priced the same at $599.99, features a scaled hammer action keybed, a built-in speaker system, furniture style stand, bench, and triple pedalboard, and a pair of open ear headphones for private practice sessions. Customers have also had good things to say about the Casio overall. If you know you’re going to need headphones, or just want a little more bang for buck, get the Casio over the Korg. Are you looking for something a little more affordable? 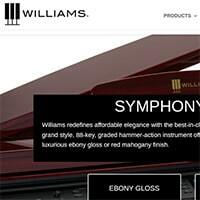 Then the Williams Rhapsody 2 might just be the right fit for you. It features 88 fully-weighted hammer action keys, 12 high-definition sounds ranging from grand piano to nylon guitar, and modulation/FX control. Its cost? Only $499.99. While the Williams piano is an Amazon best seller, it is not as highly rated as some of the other pianos on this list. Some customers have noted that the sound is a bit muddy. Others have said it does not have the feel of a true piano, but that’s hard to duplicate with a digital piano anyway. It’s a decent practice piano, but not much more than that. 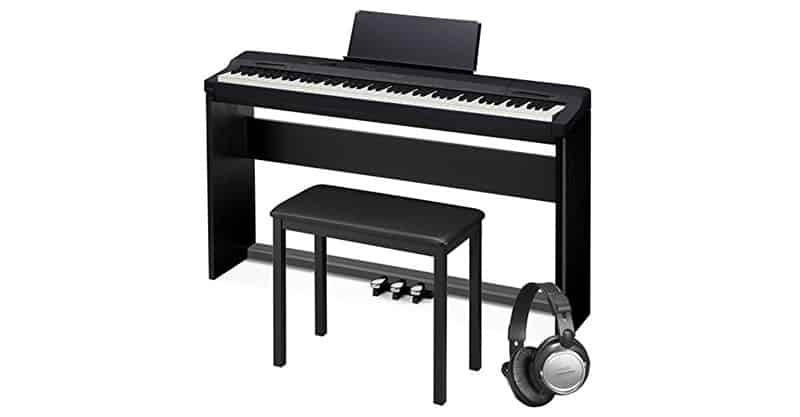 The Kawai ES110 comes with a furniture style keyboard stand, the F-350 triple pedal, and Bluetooth MIDI. It features 88 keys with responsive hammer compact action, costs $875, is highly rated by customers, and is an Amazon best seller in its category. The Kawai would be another solid purchase for practicing pianists from another well-known brand in the piano world. 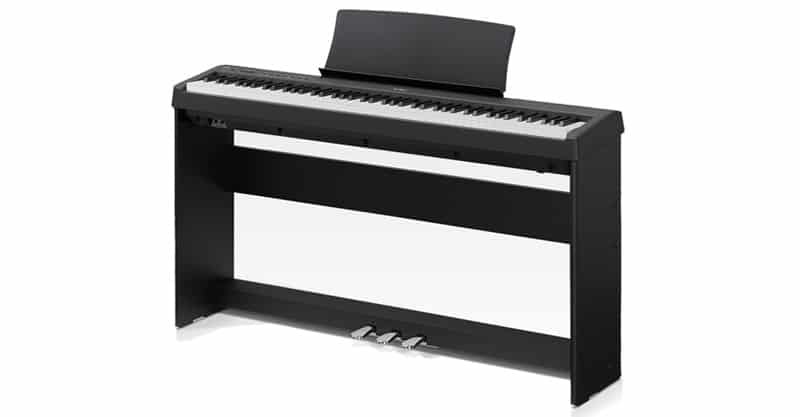 The Suzuki MDG-300 “micro grand” could be considered a hybrid digital piano. At $1,599, it features a black lacquer furniture cabinet, is spatially efficient, has 128-note polyphony, a six-speaker sound delivery system, Bluetooth compatibility, iPad connectivity, USB port, full true color LCD display, and more. 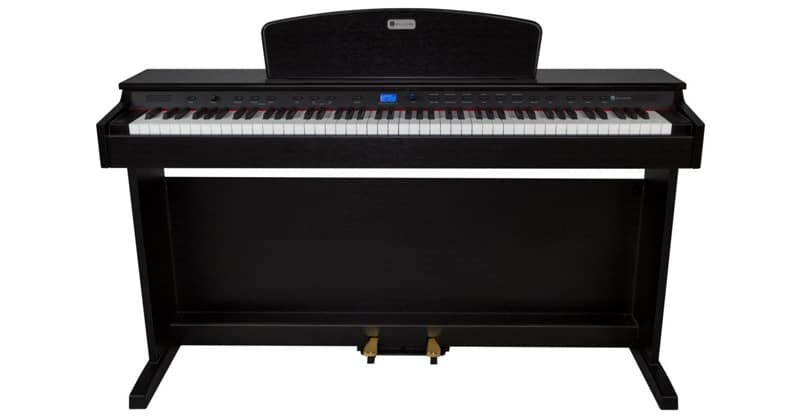 This unique and feature-rich digital piano is highly rated, and has a nice sound to it. Suzuki has done right by us with this entry. The ONE Smart Piano is the oddball on this list, because it’s designed specifically for practice. 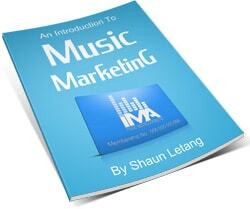 It features a free app that gives you access to video lessons, sheet music, and games. It also has built-in LED lights, which show you which to play next. At $1,499, it has 88 weighted keys, professional stereo sound, three piano pedals, and is made for beginners. It doesn’t come with a bench, so you may want to add that to your purchase. To be fair, the cost might be a slight bit prohibitive for a beginner, and while customers have had good things to say about this offering via The ONE, it isn’t quite as highly rated as other pianos mentioned here. Since it is a tech-heavy unit compared to the others, it’s fair to say there may be a few glitches, but in most cases, it should be functional. Though the basic functionality of a digital piano is comparable across the board, they aren’t all the same. There are different brands, different types of keys, different speaker systems, and so on. So, what’s right for another may not be right for you. It’s worth doing a little bit of research and digging before you decide. Here are a few questions that can help you decide on a digital piano. As you’ve already seen, digital pianos can cost several hundred – and at times – several thousand dollars. Typically, you do get a better-quality product when you pay more. But there are different solutions for different folks. If you’re just getting started, you probably don’t need the most expensive product on the market. 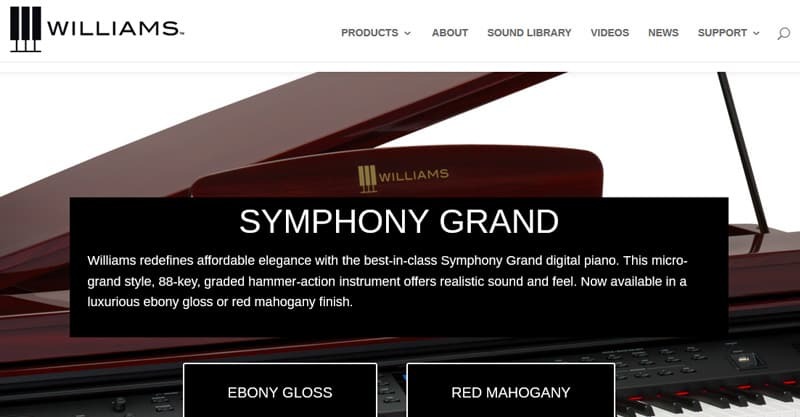 If you’re a purist, then maybe a $7,000 digital piano isn’t what you’re looking for (hint: It might be time to start looking at grand pianos). Your budget will help you determine what piano you can afford, and which is right for you. The three most common uses of a digital piano are practicing, performing, and recording. If you’re just practicing, you may not require a quality sound. But if you’re going to be recording or performing, you may want to look for a keyboard that sounds good plugged in. 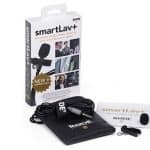 If you’re going to be using it for everything, then it’s better to have a good quality sound period. Think about how you’re planning to use the piano. This should help with the buying process. 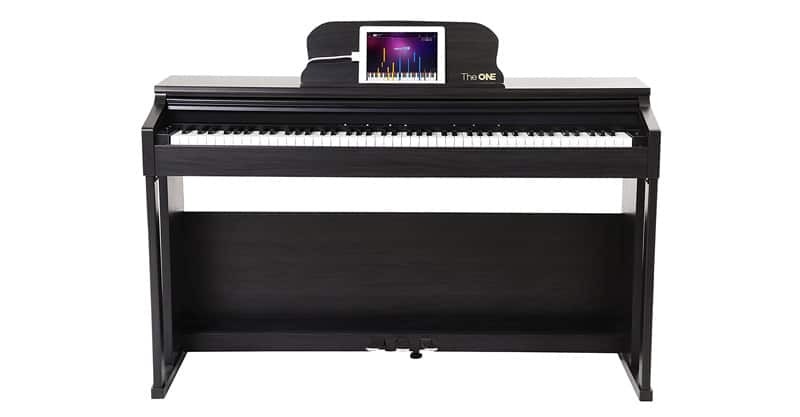 As you’ve already seen, digital pianos today can come with a variety of tech options, including Bluetooth, USB, apps, and so on. This tech may be fun, and even useful in some situations. But inevitably you will pay more for these features, and if you don’t need them, then you may not want to sink more money than you need to into a keyboard. It depends on what “real” piano you’re comparing it to. Just as digital pianos vary in quality (you can find ones that cost thousands of dollars), “real” pianos also vary in quality. Many digital pianos have a great sound, and closely emulate what a grand piano would sound like recorded. In many ways, this closely follows the digital vs. analog debate that has been going on for years. You can’t emulate the warmth of analog equipment with digital gear, nor can you get the exacting pristine sound of digital equipment with analog gear. Or so we’re told. An acoustic instrument has certain qualities, while a digital instrument has certain qualities. It’s better to think of this difference between a digital piano and an acoustic piano as a comparison between an acoustic and electric guitar, as opposed to the difference between two acoustic guitars made by different brands. But in the end, the simple answer is “no”. A digital piano will never sound or feel exactly as a real piano does. All the keyboards mentioned in the above list have 88 keys, though you can also purchase 49-key, 61-key, and sometimes other models. An 88-key keyboard is probably ideal for playing most music. Not that a lot of music is played in the lower and higher registers of a piano, but on those occasions when you need those extra keys, it can be frustrating to be playing a smaller keyboard. Conversely, if you’re regularly gigging, an 88-key keyboard might prove cumbersome to haul around. This still comes down to preference, but if you can think on your feet and are adept at arranging for fewer keys, you might prefer going about things this way. If you’re mostly practicing from home, then an 88-key digital piano is probably what you want. Experts suggest you can – so long as the piano has 88, fully weighted keys that respond to dynamics. A digital piano will never sound or feel exactly as an acoustic piano does, but a good quality one is still an option worth considering. I’m not a purist myself, and wouldn’t have any problem practicing on a piano that didn’t have all the above. I would want to upgrade as my skills improved, but there would have to be a reason for it – I don’t see much point in buying more piano than I need off the bat. Imagine spending a lot of money on a piece of equipment you don’t even use! Either way, I would suggest thinking about what your goals are and what the best path is for you. If you’re on a budget, then you may not even have the option of starting with a quality piano. So, just having one to practice on is better than not practicing at all. No purist would agree to the notion that all pianos are created equally, because this is simply not the case. But for most players, a digital piano is perfect for practice. Many do have weighted keys that resemble (but aren’t exactly like) what you would expect on a real piano. You may have noticed terms like “weighted”, “graded hammer”, “responsive hammer compact”, and others. These are all references to the action of the keys themselves, which affect the feel of the instrument. When considering how to practice, it is important to keep your goals in mind. If you want to play in bands and utilize a variety of sounds, you’re probably not going to be performing with a grand piano anyway. Or, if you do, it will be for a limited number of songs. If you’re part of the orchestra (or aspiring to be), then you’re almost certainly going to be playing a grand piano in concert, though you may not own one for use at home. An upright piano might be better suited to your needs. I don’t personally see a problem practicing on a decent quality keyboard, because the skills transfer over no matter what. It just may take some getting used to playing another instrument that isn’t your own if you need to. Digital pianos are great for students, hobbyists, recording musicians, and even pros, depending on the application. They are less cumbersome than acoustic pianos, are more portable, tend to come with more tonal options than an acoustic piano (for obvious reasons), and are usually more affordable. Are they great for everything? No. But most pianists tend not to haul an entire grand piano around when gigging. If they’re a concert pianist, they probably didn’t have to move the grand piano into place in the first place. Digital pianos are getting better and better over time, and will continue to evolve and inspire pianists and keyboard players.